What music agents do and what they can do for you. Music Agents – What are music agents? Music agents are responsible for representing a singer. They’re job essentially is to make sure a singer has opportunities to perform live. Music agents tend to go hand in hand with management. Music agents only really come into play when you’ve reached a level that is beyond your management being able to organise a tour schedule as well as all their other duties. 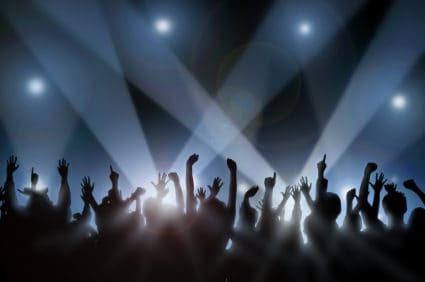 The right agency will be well connected with festivals, promoters and be perfect for getting support gigs for established artists. Music Agents – What are Music Agents? WARNING! Like artist management, signing to a music agency is a two way process, you may want to work with them but they might not necessarily want to work with you unless you are at the right stage of your music career. For music agents to want to work with you they are most likely going to want to see income streams already coming in or a strong indication that they are likely to, which in this case is very much people paying to come and see you at gigs. Therefore it’s vital to have a strong, loyal fan base already built up. A music agent’s main role is to book shows; therefore it’s important that they build contacts within the music industry. Networking is a vital part of becoming successful in the industry; music agents can use this skill to their advantage. Building relationships between the music agency, the venue and its promoters improves the chances of you, as a singer, to perform at a show at a particular venue or tour. The music agent’s role is to also make sure that every aspect of a contract that is offered to you is suitable for your act. In most cases it will be their agency contract that the promoter will have to sign. This contract is where they can ensure everything you want and need for the show is catered for and any equipment required is available to you. Music agents will need to know all this information before negotiating the contract so they know what to ensure is on the contract whenever you play a show. As well as booking shows, they may also have the job along with management of getting you other media opportunities to promote the events or tour. Becoming known in the media isn’t always the easiest task; music agents will have the responsibility of trying to get the act radio and TV appearances. As radio and TV are open to more people than may be at a show, these opportunities are priceless. Being heard by a wider audience of people who could potentially be a new fan base is invaluable as a singer.